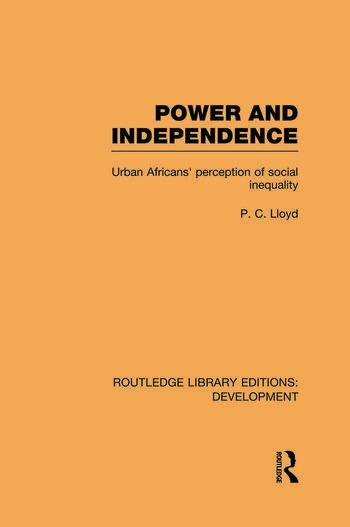 First published in 1974, this study, by a social anthropologist who has lived, taught and researched in Nigeria, explores how the Yoruba of Nigeria living in Ibadan and Lagos perceive the society in which they live. Their views on stratification and social inequality in particular are related to traditional Yoruba concepts and to their experiences in education, migration and present social and occupational relationships. It is shown that, in general, these recent migrants and city dwellers see their society as open; they emphasise achievement rather than class opposition. Recent protest – industrial strikes in Lagos, the Agbekoya peasant rebellion in Ibadan – are assessed in the light of these attitudes.